Our Traditional, Classic, and “New Traditional,” designs all have in common a sophisticated elegance and attention to meticulous detail. Old World styles and period reproductions are also specialties, which might include hand carved details or sophisticated finishing techniques, for both wood and paint finishes. Moreover, all traditional designs can also include the latest in hardware, interior accessories, and storage conveniences. 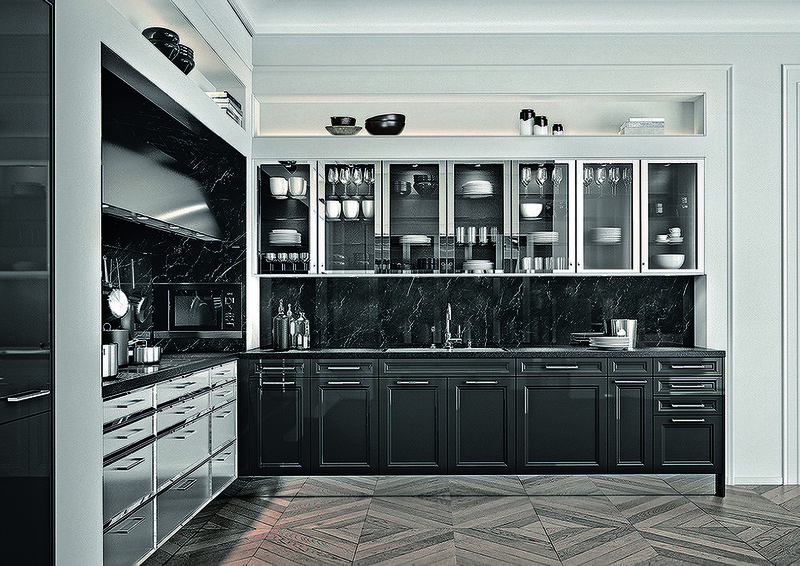 Selecting the right appliances is also important, both for functionality as well as aesthetics. The traditional concept of the “hearth” is usually a focal point, with a well-designed vent hood over the cooking area. 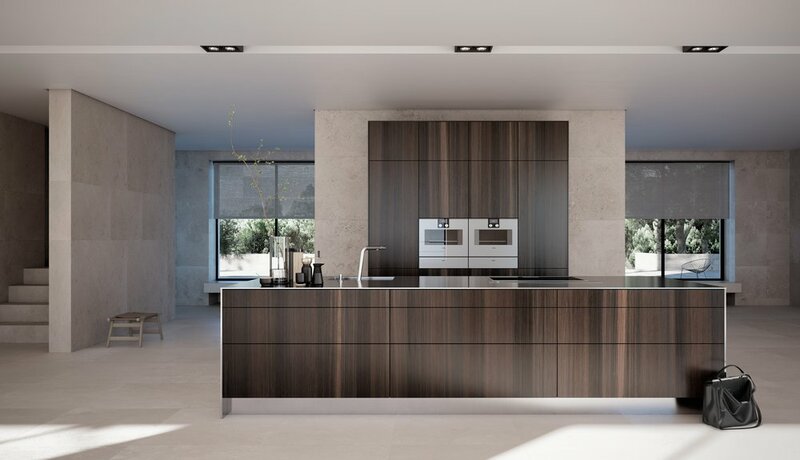 The clean lines of our contemporary kitchens reflect a beautiful simplicity in the design, uncluttered and functional, ergonomic and convenient. 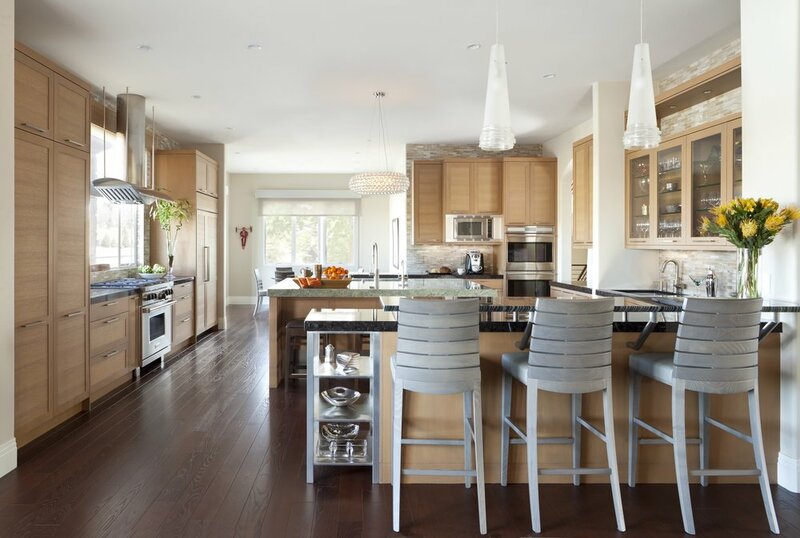 The design possibilities range from gloss finishes to gorgeous wood veneers, which add warmth to the room and design. 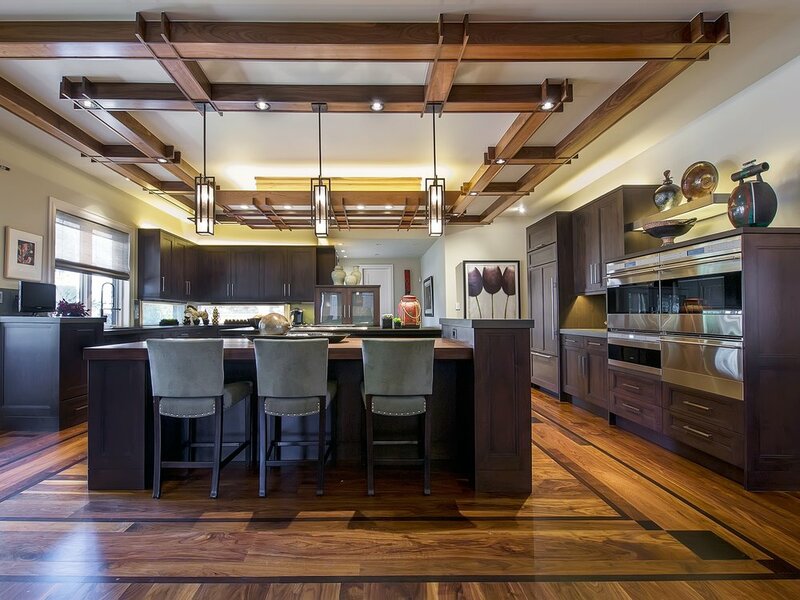 Oftentimes, a combination of finishes is used, which adds visual interest and complexity to the design. 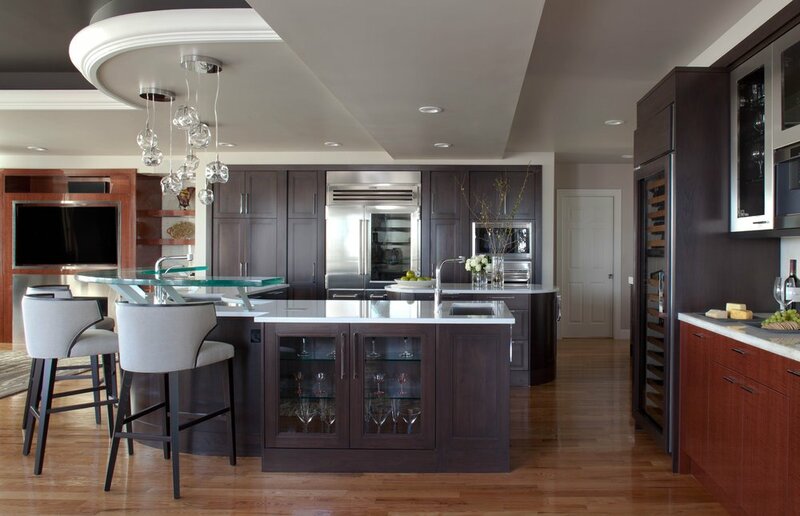 Modern designs require attention to many details, especially the rectilinear grid of the vertical and horizontal seams of the cabinetry, and of course the proportion and scale of the cabinetry doors and panels. There are many fantastic appliances for a modern or contemporary kitchen, and we can suggest the best options for cooking and design.